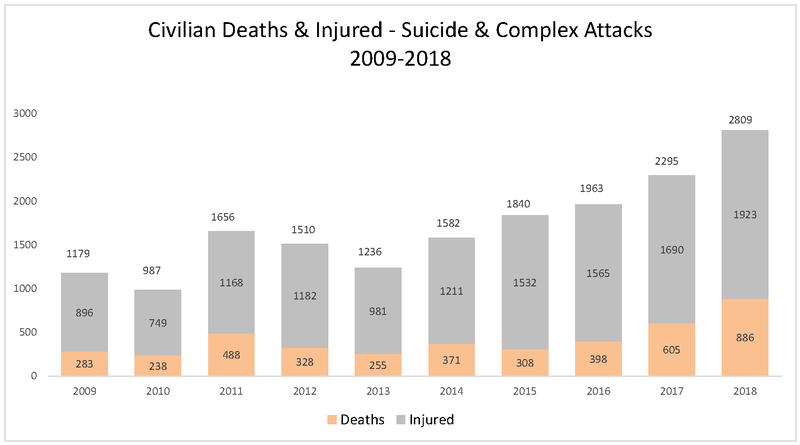 KABUL – More civilians were killed in the Afghan conflict last year than at any time since records have been kept, according to a United Nations report released today by the UN Assistance Mission in Afghanistan (UNAMA) and the UN Human Rights Office. 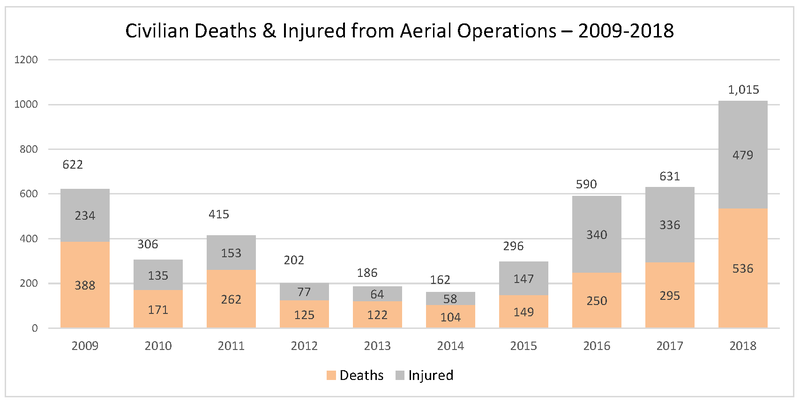 The report documented 3,804 civilian deaths in 2018. 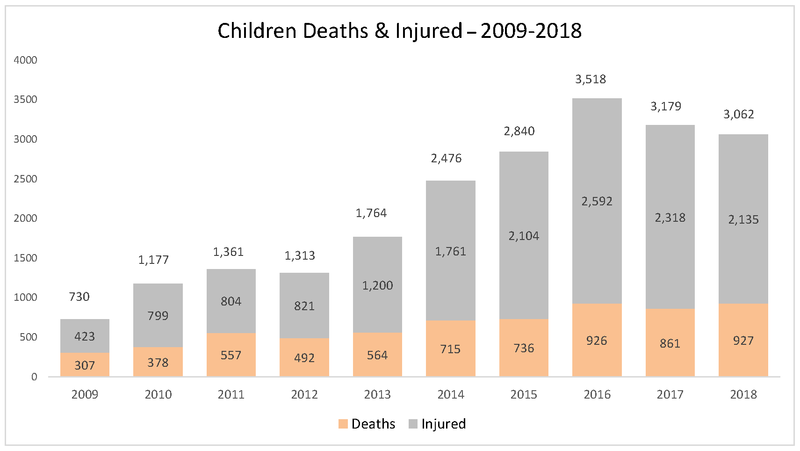 Among the dead were 927 children, the highest recorded number of boys and girls killed in the conflict during a single year. UNAMA conducts reporting pursuant to its mandate under UN Security Council Resolution 2405 (2018): “to monitor the situation of civilians, to coordinate efforts to ensure their protection, […] to promote accountability, and to assist in the full implementation of the fundamental freedoms and human rights provisions of the Afghan Constitution and international treaties to which Afghanistan is a State party, in particular those regarding the full enjoyment by women of their human rights.” Resolution 2405 (2018) recognizes the importance of on-going monitoring and reporting to the Security Council on the situation of civilians in the armed conflict, particularly on civilian casualties. UNAMA undertakes a range of activities aimed at minimizing the impact of the armed conflict on civilians including: independent and impartial monitoring of incidents involving loss of life or injury to civilians; advocacy to strengthen protection of civilians affected by the armed conflict; and initiatives to promote compliance among all parties to the conflict with international humanitarian law and international human rights law and the Constitution and laws of Afghanistan, including in particular respect for rights to life and physical integrity. 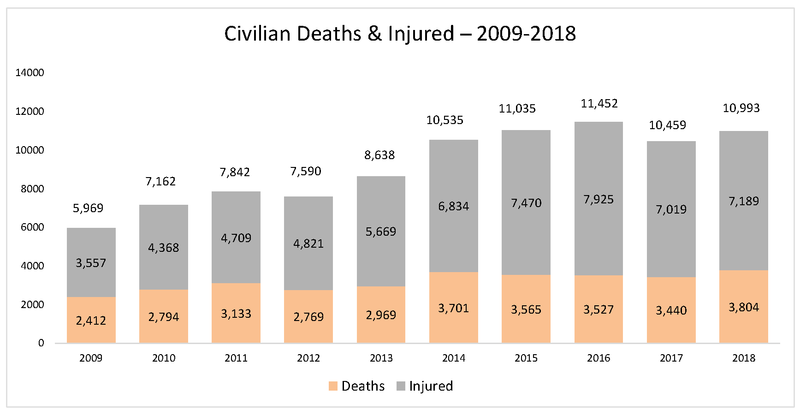 Since 2009, UNAMA has been systematically documenting civilian casualties attributed to parties to the conflict in Afghanistan using a consistent methodology, which has allowed for year-on-year trend analysis and reporting. UNAMA’s protection of civilians’ work is grounded in principles of international human rights law and international humanitarian law, and its methodology is based on best practices and the advice and guidance of OHCHR. UNAMA was established in 2002. 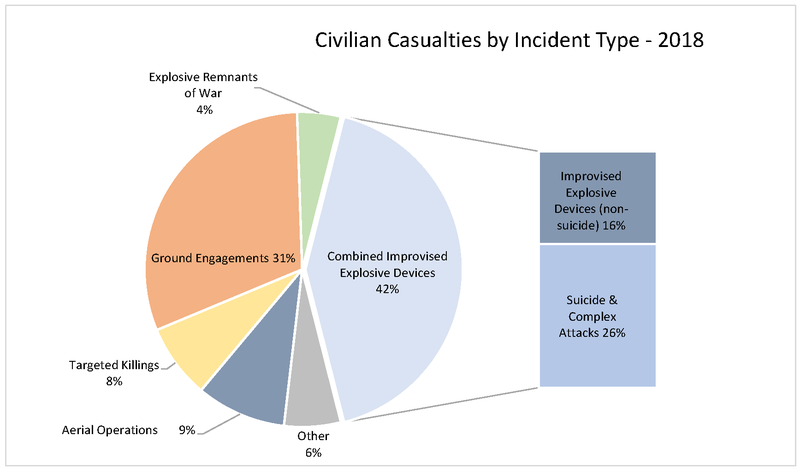 It did not systematically document civilian casualties until 2009. 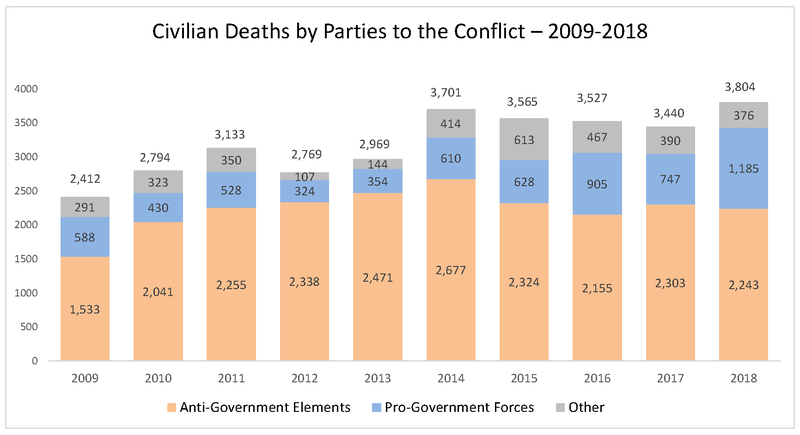 Most commentators observe that the impact of the armed conflict on civilians in the period 2002 up to 2008 was not as severe as has been the case from 2009. UNAMA only includes verified civilian casualties in its reporting. See report on methodology for details on UNAMA’s verification process and high standard of proof.